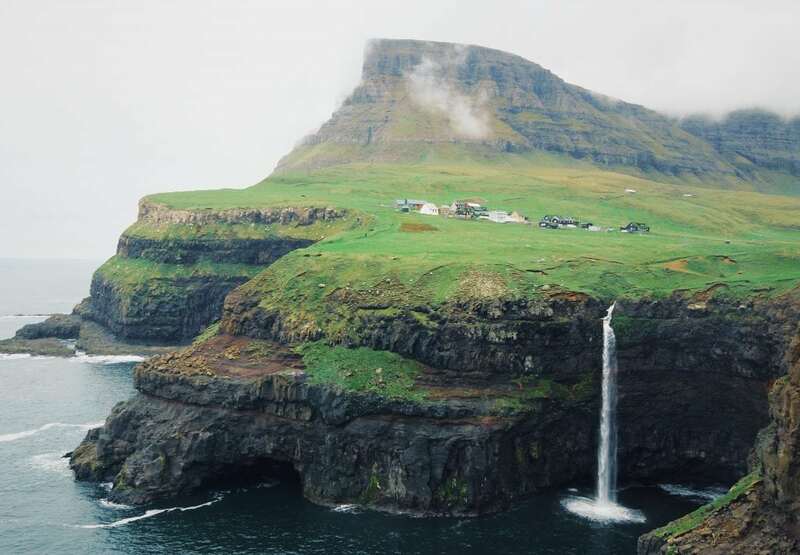 Nestled in between Norway and Iceland, the Faroe Islands are home to some of the most beautiful landscapes in the world and remain one of Europe’s best-kept secrets. Kids and parents alike will love roaming free in this unspoiled paradise. 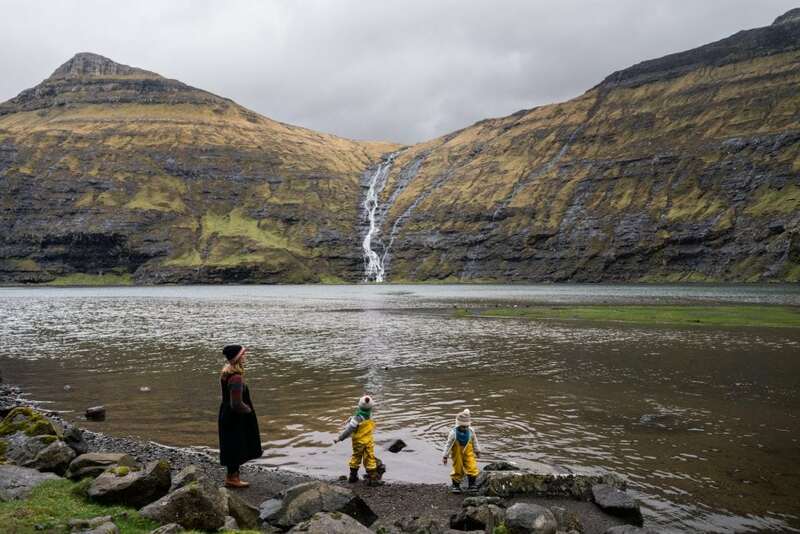 The majestic cliffs, endless waterfalls and colorful villages are just a few of the reasons why you should add a family adventure in the Faroe Islands to your bucket list. Curious to learn more? 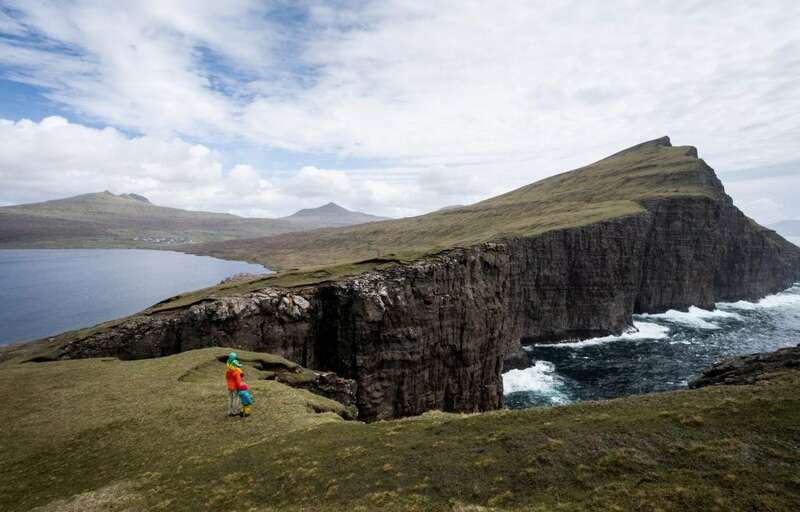 Read on for 5 great family-friendly experiences in the Faroes, recommended by our fellow parent-explorers Jake Cassar and Giulia Tibaldi. The hillside village of Saksun is known for being one of the most beautiful places in the Faroe Islands. 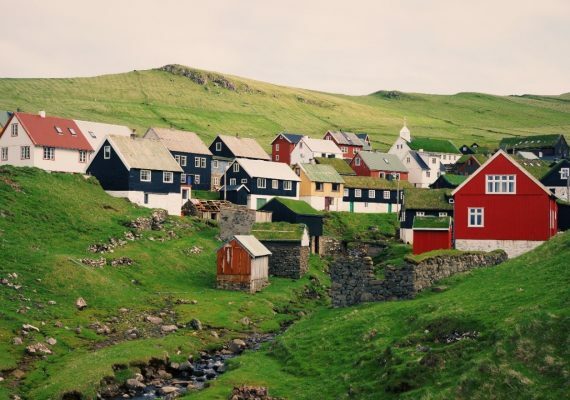 Though it’s located on the northwest coast of Streymoy (the largest and most populated of the islands), Saksun itself has a population of just 8 people! It is, however, home to plenty of grazing sheep that you’re sure to see wandering around. 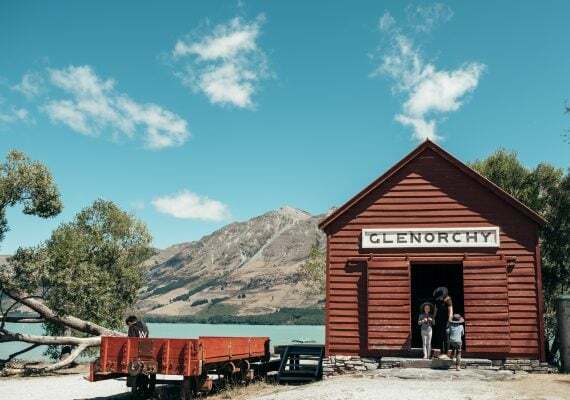 Kids and parents will love seeing the little grass-roof houses, the quaint local church and the stunning views all around. 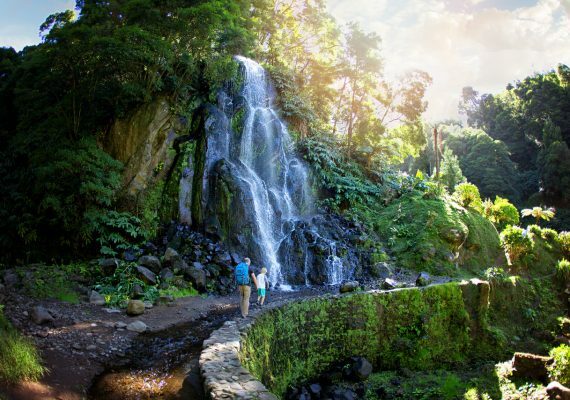 You’ll also want to spend some time by the water, taking in the scenery and checking out the waterfall. 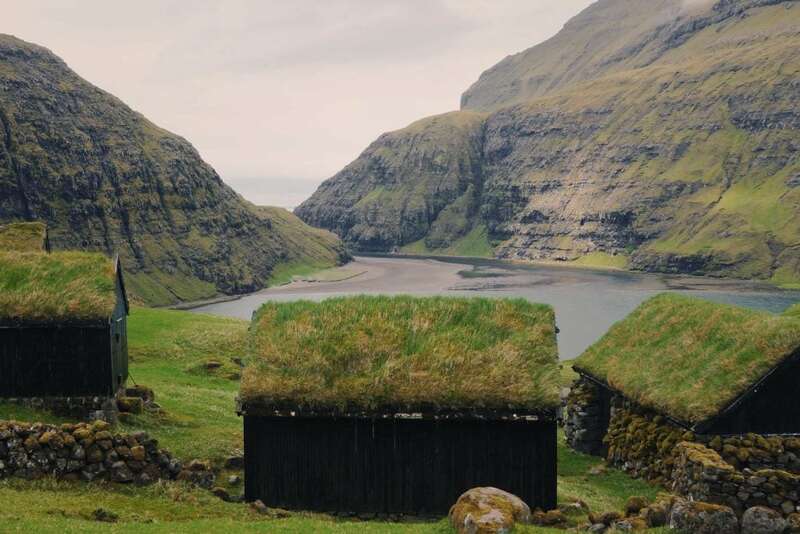 Considering a trip to the Faroe Islands? Check out this guide to seeing the puffins! 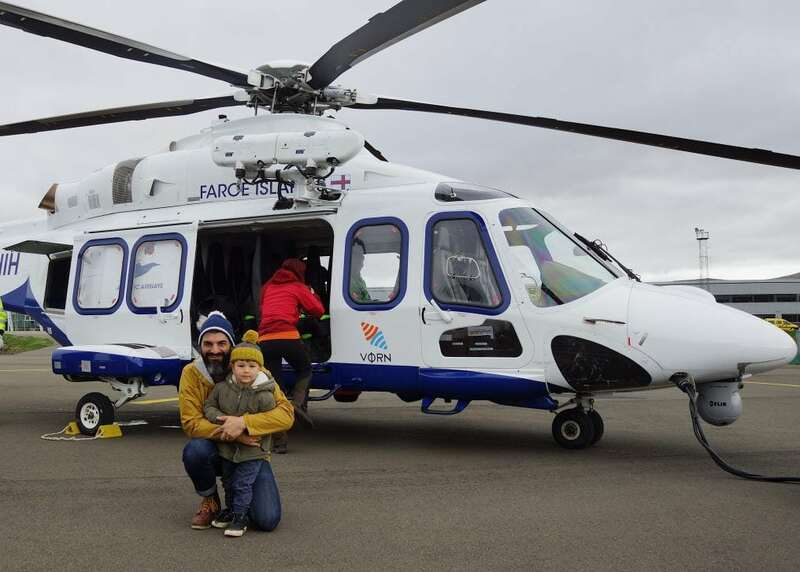 If a helicopter ride is on your family’s bucket list, the Faroe Islands are the place to do it! 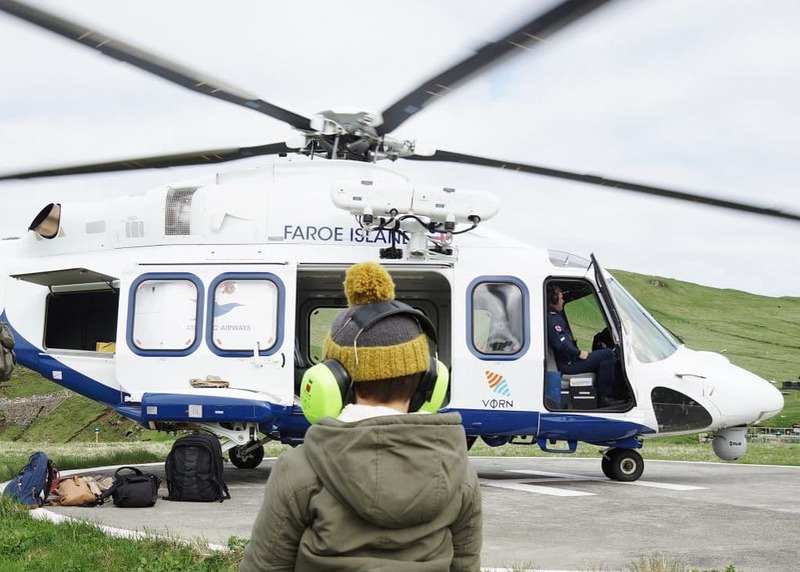 Atlantic Airways provides an amazing helicopter service, which was originally created to connect locals with some of the more remote islands, but now offers visitors a great opportunity to explore, too. The best part is that the service is subsidized by the government, making it incredibly affordable. 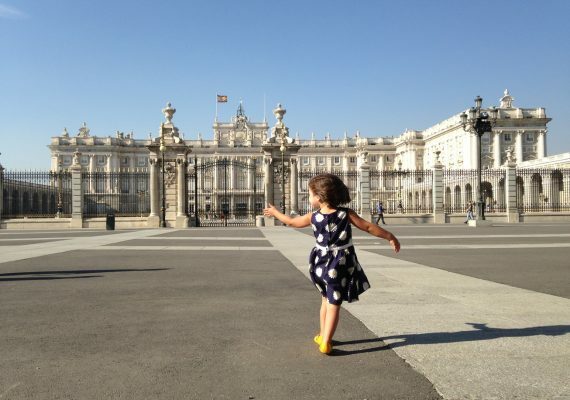 Kids ages 0-6 fly for free, and those ages 7-13 travel at half-price. 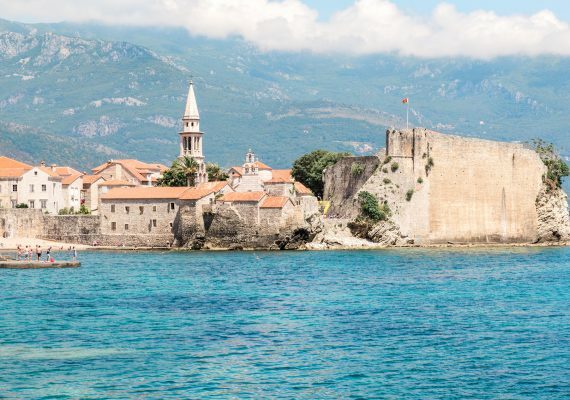 Currently, one-way tickets for adults range from just $8 USD to $60 USD. No visit to the Faroe Islands is complete without seeing Sørvágsvatn Lake. This lake is one of the Faroe Islands’ most iconic spots and makes for a perfect photo op. If you catch it at the right angle, Sørvágsvatn Lake appears to be floating directly above the ocean, making for a cool optical illusion. At the end of the lake is also another must-see, the Bøsdalafossur waterfall. To get from the lake to the waterfall, you’ll take your little ones on a short, picturesque hike along the cliffs. Make sure to snap some photos along the way, as the journey is just as beautiful as the destination! 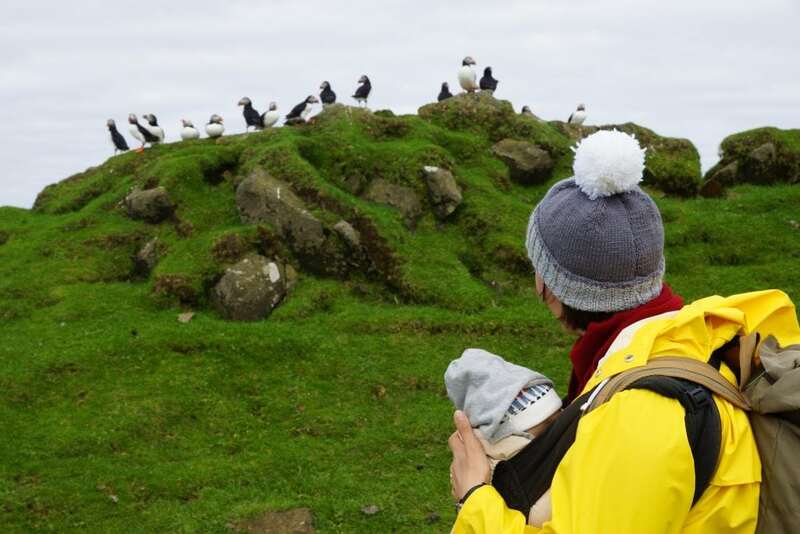 If you have any bird lovers in your family, you’re in for a treat when visiting the Faroe Islands. 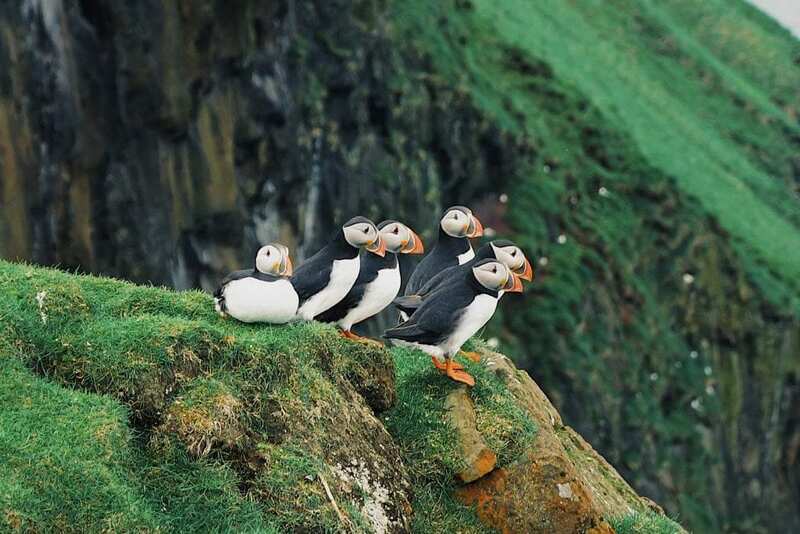 Every summer, thousands of puffins flock to the island of Mykines, where they settle in the grassy slopes along the coast. Kids will love spotting their colorful beaks everywhere they look! If you want to catch the puffins, make sure to plan your visit to Mykines in advance, as you’ll have to travel by helicopter or ferry. The helicopters only have a few seats, and they do tend to sell out, especially during peak months. There are also several companies and local guides that you can hire to help simplify the planning process as well. 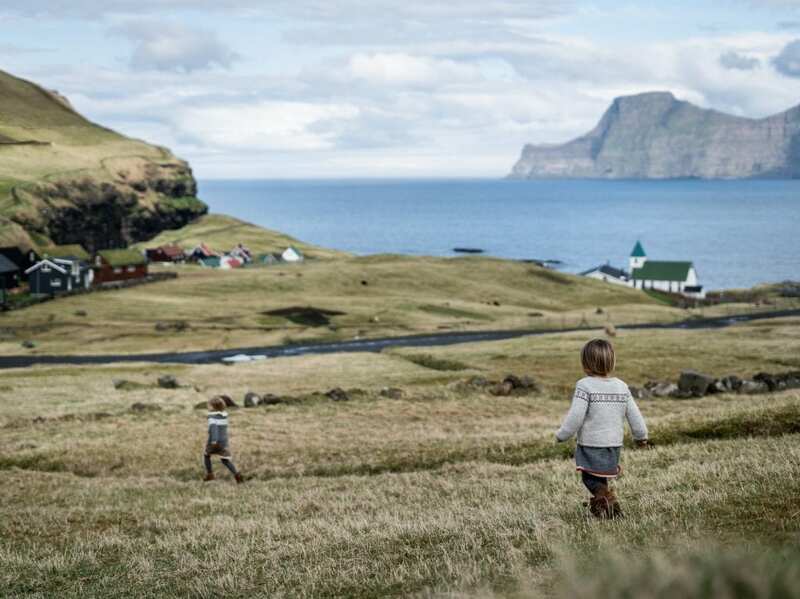 If your family is feeling a bit more adventurous, the Faroe Islands are a great place to explore by camper van. 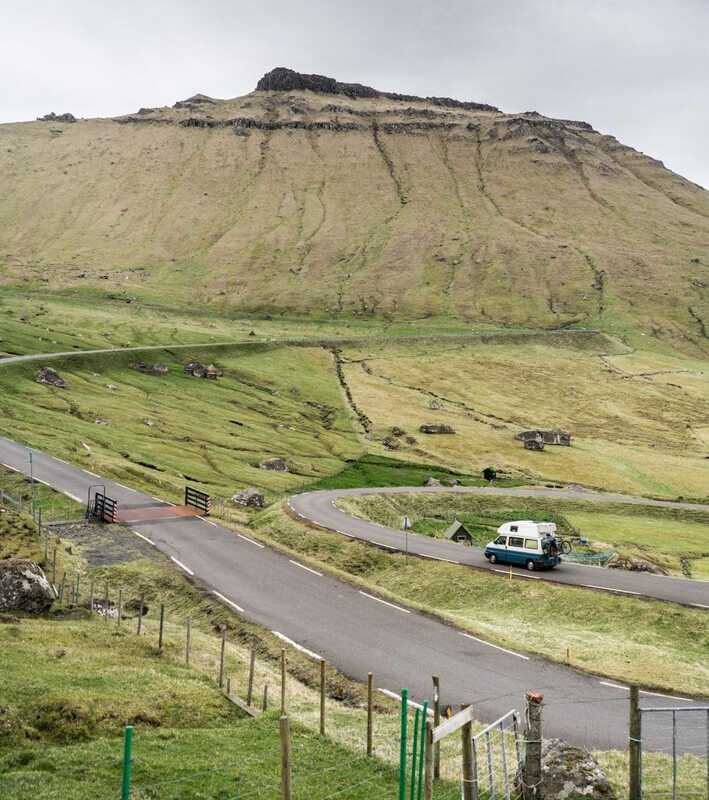 Whether you just want to hit the road for a night or two or are interested in planning a longer road trip, this is a great way to take in all of the natural beauty that the Faroes have to offer. There are a number of campsites around the islands where you can park for a night, or you can try to find private parking areas near farms or little villages. There’s nothing better than waking up surrounded by nature … and maybe a few sheep! Follow Giulia Tibaldi on Instagram @giuliegiordi and check out more of her incredible photos here. Follow Jake Cassar on Instagram @thiswildtime or have him plan your next off-the-beaten-path family adventure.